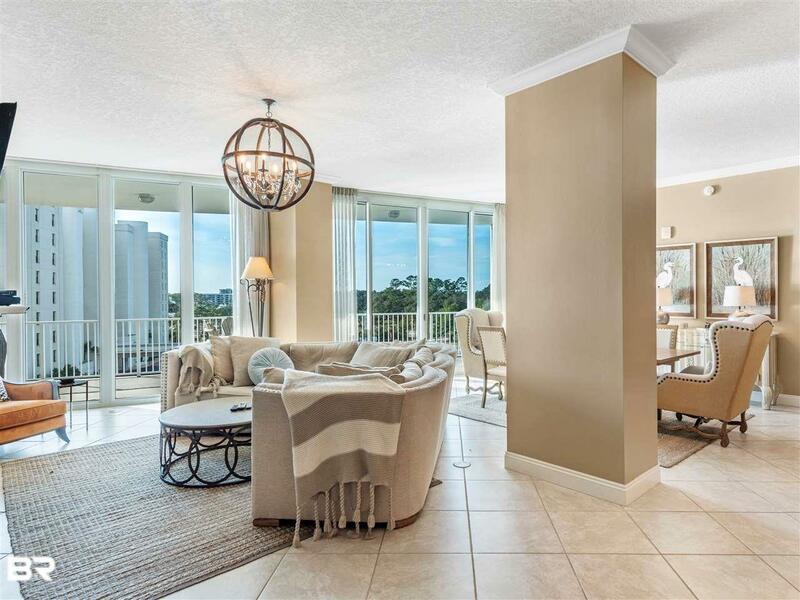 Spectacular furnished corner unit in Bayshore Towers. 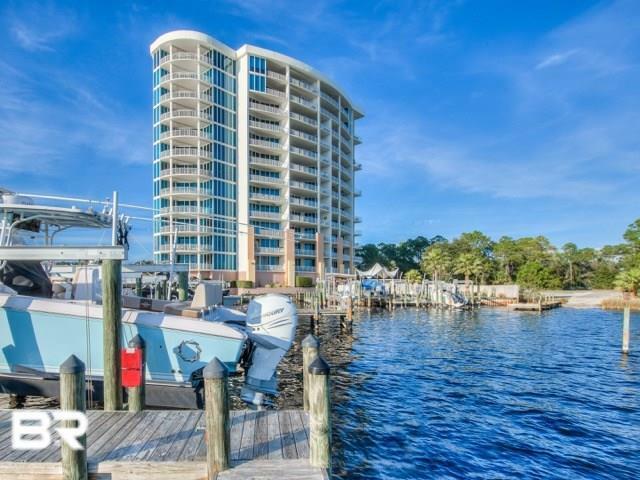 The views of Terry Cove, Robinson Island and Perdido Pass are breathtaking. 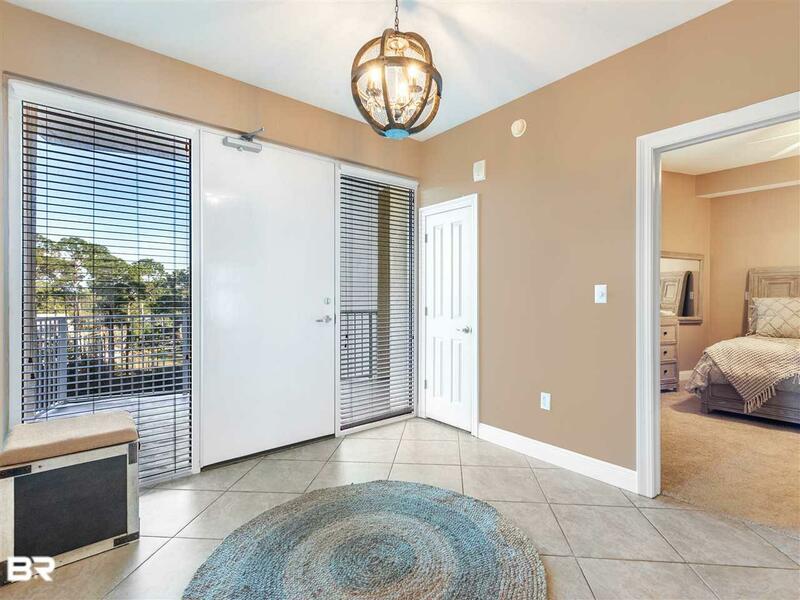 Tall ceilings, travertine and carpet floors, granite counter-tops, stainless kitchenmaid appliances with a new convection oven combo unit, a card/wine room in the bonus area, split bedroom floor plan with huge master suite. 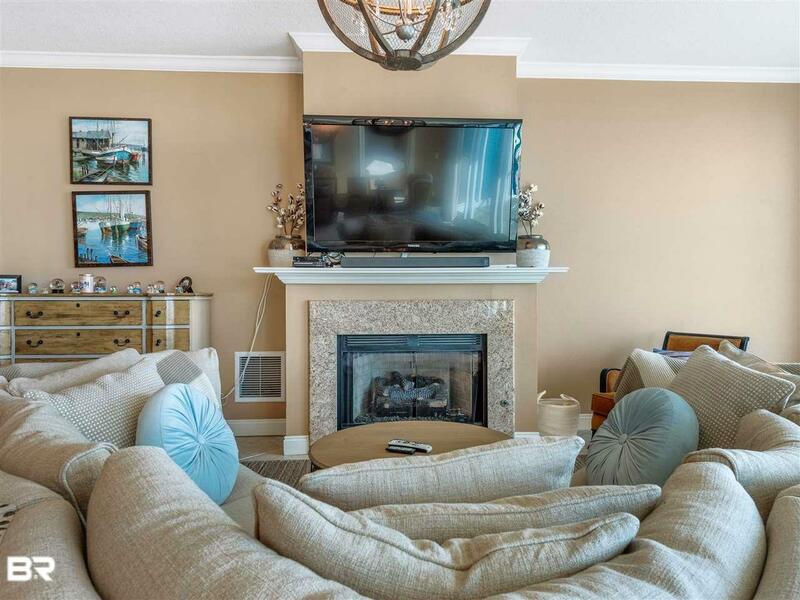 This unit is a wide open floor plan perfect for entertaining. Gated complex with a covered entry, two outdoor pools, and hot tubs, and an indoor hot tub. On site management, tennis courts, picnic & garden area, fitness center, and card room. The complex is pet friendly and offers 3 Day slip rentals in the marina. Slips are for sale in the marina and can be purchased separately . See sellers disclosure for a list of items that do not convey.